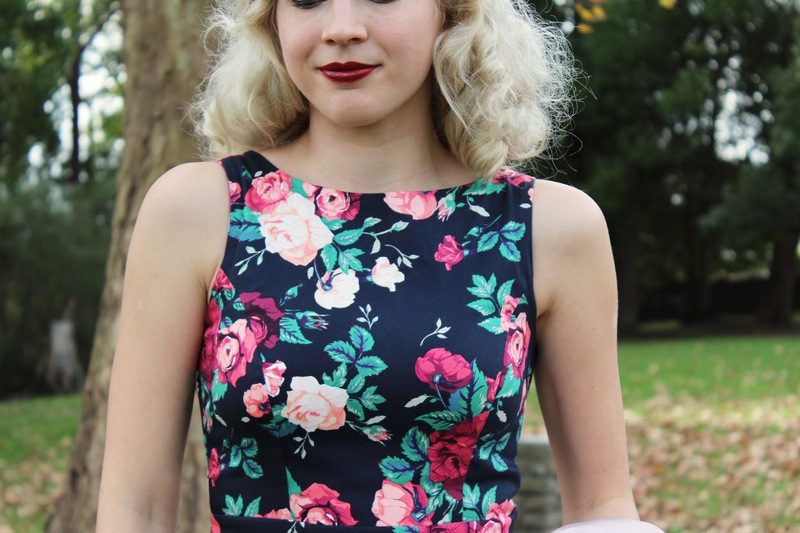 Wearing a lovely floral dress that has been styled for the cool weather! 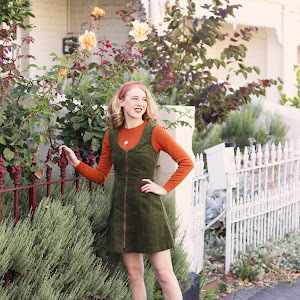 I've never had a Lady Vintage dress prior to this post though I have been well aware of the brand. 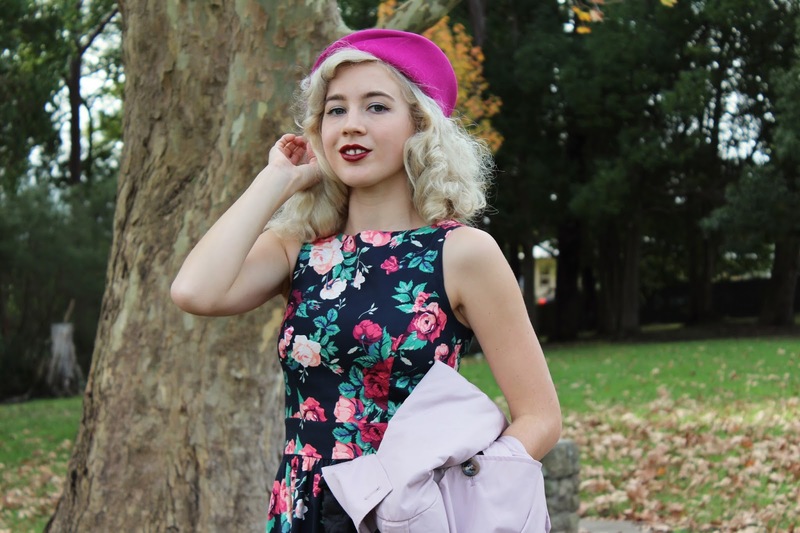 I decided to choose this floral number as I already had an idea in mind of how I would like to style it and I thought the floral pink print would look great with my coat. I wear this coat and my green version of it constantly during winter, so expect to always see them thrown over my outfits. 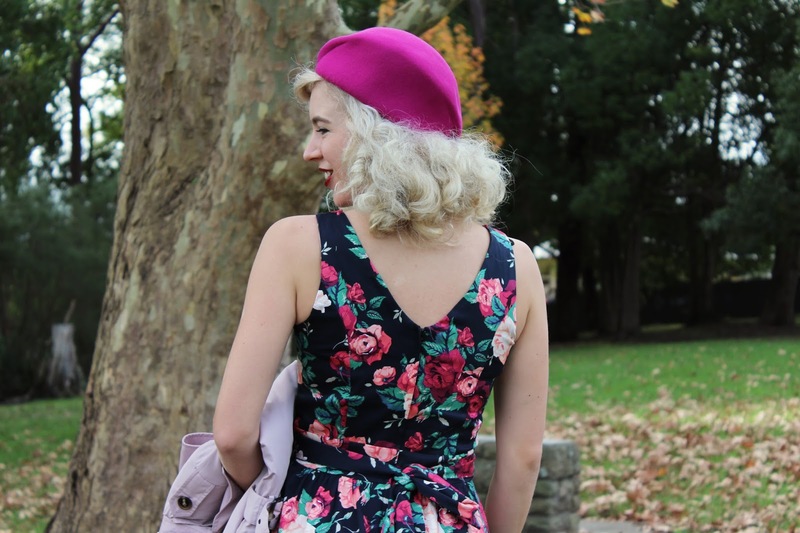 I am trying to winterise more summer dresses this year, usually I get too cold and wear jeans, swing trousers or winter dresses most of the time, though it was quite nice this particular afternoon. I am wearing my usual size 8 and find this to be a good fit, the bust is a little tight but seemed to fit better after wearing it for a couple of hours. If you have a larger bust I do suggest sizing up and if the waist is too big, this particular style has ties at the back to nip it in. This dress is made of soft cotton, the print is quite vibrant and it matched my coat well (as I had hoped). It has been so nice to start wearing back-seam stockings again too, oh how I have missed them! This is the first proper set of blog photos I have taken on my own, you may remember that I bought a camera remote before going away on holiday earlier this year and I finally got myself down to the park to take some with it. 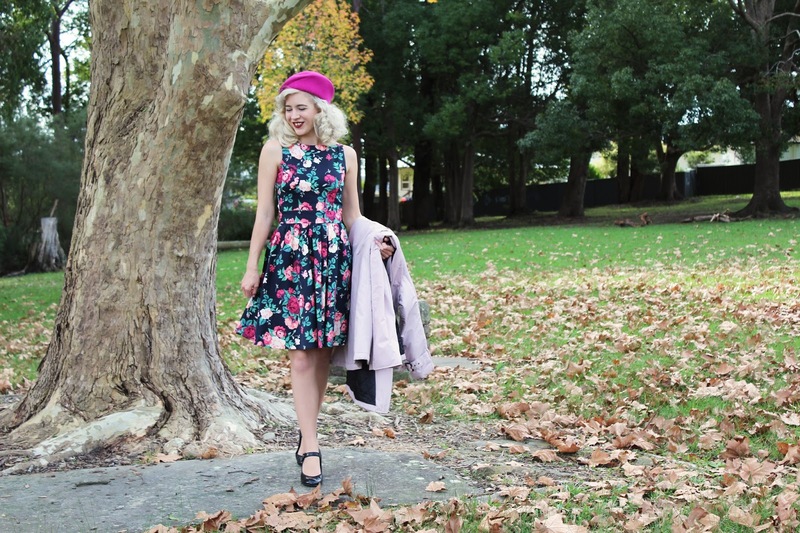 I am always so impressed with bloggers who produce beautiful images and outfit posts on their own so I finally gave it a go. It was quite relaxing taking the photos because I was soaking up the last of the afternoon sun, there were a couple of school kids that walked through the frame, he was just slowly kicking the leaves. When I finished taking photos the school bus dropped off a bunch of kids, luckily I was finished pretty quickly and was packing up by then. I don't mind people watching blog photos for a short period of time though this is most preferred from a distance if they must look, I just don't want anyone getting too close or walking through the frame! Also, my hat was something I found on eBay with five minutes until the auction was ending and for six dollars I just love it! Does anyone else have the problem of hats slowly lifting off their head? 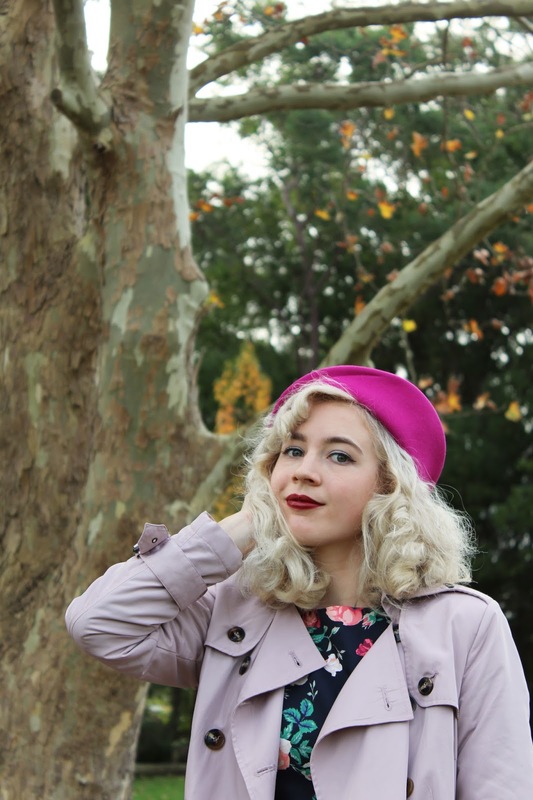 I have crazy thick hair and it loves to push certain hats up so I have to keep readjusting it, I had to reposition it a few times during these photos haha. I'm sure that I can get some hat pins to keep them in place maybe as it's not a hassle to push it back down on my head, just kind of funny to feel it slightly rising. 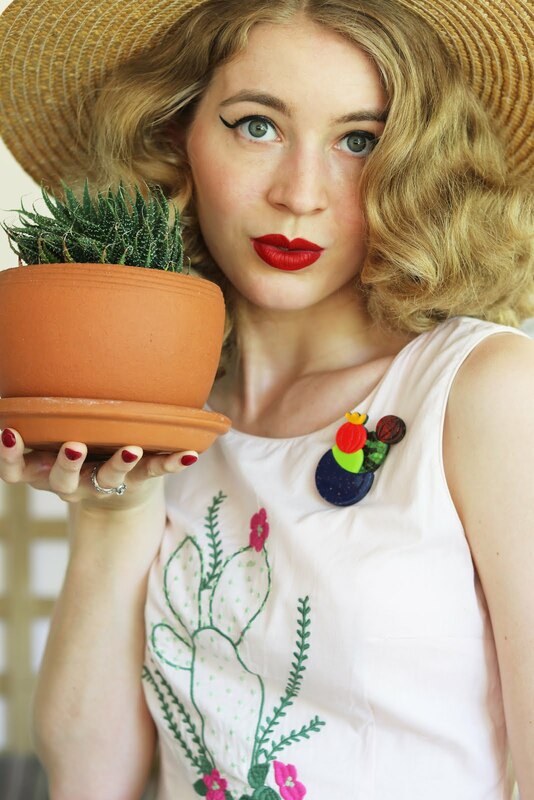 If you have your eye on something from Lady Vintage be sure to use the coupon code KAYLA10 for 10% off your purchase! Last minute eBay listing finds rock! I've picked up a few really awesome items that way over the years. What a fun, elegant outfit. Pinks and blacks are so chic together and look all kinds of marvelous on, sweet gal. A nice trench coat is a must for autumn winter and is something I am sorely lacking. You have put this outfit together impeccably. 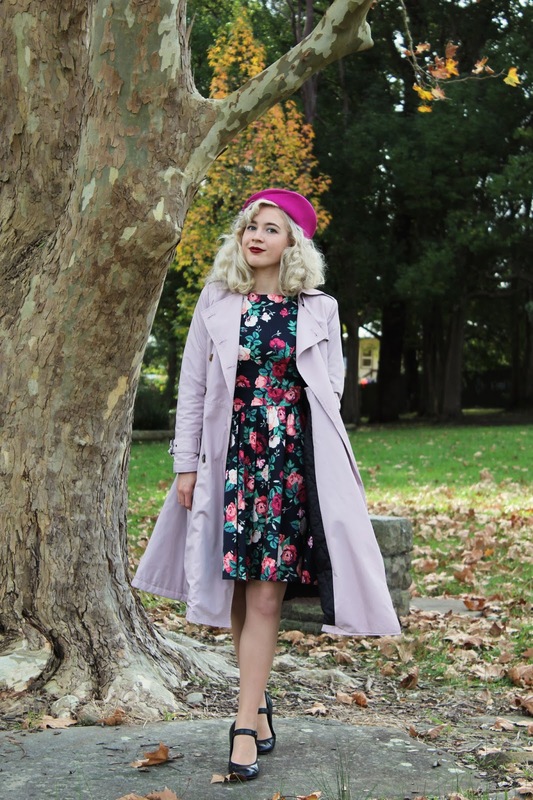 Whe darker florals, trench and beret are a perfect combination. And a big well done on taking your own photos! I also like your photos! Unbelievable you took them all by yourself. Oh my gosh! I always have that problem with hats! I have crazy thick hair too - I guess our hair is just like "NOPE" and slowly dismisses the hats. HA!